British actor Jade Goody, arrived in Mumbai on Friday to participate in the Indian show 'Bigg Boss . She had hit headlines fro her remarks on Shilpa Shety in Big Brother. However this time, Shilpa will not be Goody's house-mate, but her 'host'. 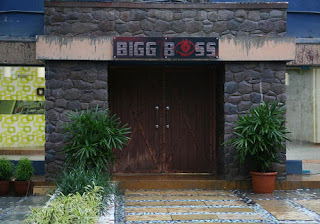 Goody landed in Mumbai by Virgin Airlines this morning and drove to Lonavala, where the 'Bigg Boss' will be shot. Meanwhile Sherlyn Chopra had denied her participation in Bigg Boss as her demands had not been met. She had demanded one crore a month and had wanted cameras to be placed even in the bathrooms for her to flaunt her bikinis while bathing, which the producers didn’t agree to - a miss for many !